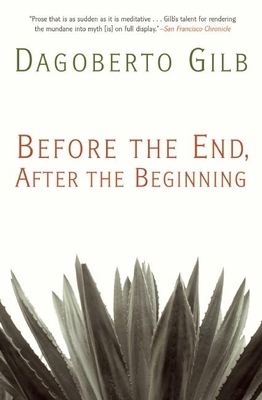 Before the End, After the Beginning is a personal and honest collection of ten exquisite stories from Dagoberto Gilb. The pieces come in the wake of a stroke Gilb suffered at his home in Austin, Texas, in 2009, and a majority of the stories were written over many months of recovery. The result is a powerful and triumphant collection that tackles common themes of mortality and identity and describes the American experience in a raw, authentic vernacular unique to Gilb. These ten stories take readers throughout the American West and Southwest, from Los Angeles and Albuquerque to El Paso and Austin. Gilb covers territory familiar to some of his earlier work--a mother and son's relationship in Southern California in the story 'Uncle Rock' or a character looking to shed his mixed up past in 'The Last Time I Saw Junior'--while dealing with themes of mortality and limitation that have arisen during his own illness. Confronting issues of masculinity, sexuality, and mortality, Gilb has recovered and produced what may be his most extraordinary achievement to date.